Layer vegetables on a serving platter. Heat Gado Gado Peanut Sauce gently over a medium heatuntil simmering. Pour warm sauce over the salad and serve. 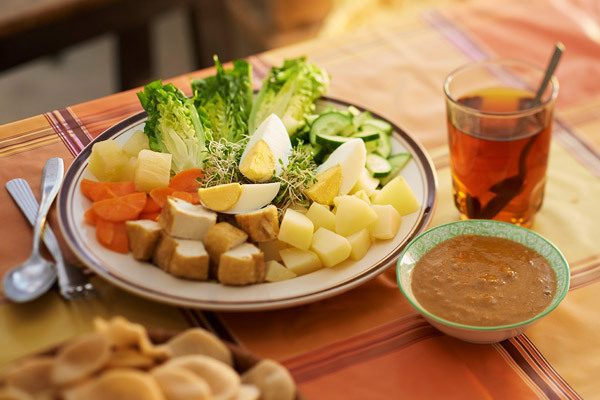 Tip - Gado Gado Salad is traditionally served with some form of crackers.